Geometry art created with iOrnament app. Grieving, not depressed. No bipolar depression. No depressive thought process. Just grief. Just a deep overwhelming feeling of loss. I miss my father. Miss him deeply and dearly. Going to individual therapy and taking my medications for bipolar disorder, but now may be time for additional support, time for a grief support group, preferrably one led by an excellent licensed mental health professional. As a licensed clinician, I have a bias. I need a group leader with advanced clinical knowledge of serious mental illness like bipolar disorder, as well as grief. As someone with bipolar disorder and a history of depression, I’m at risk of complicated grief. Not only did my father recently die, my mother is a stroke survivor living with vascular dementia. She lives in memory care, but wants me to visit more often than I can afford to emotionally. Squeezed between generations, I cheer my newly adult son as he takes steps to overcome social anxiety and manage his migraines. Until he gets his driver’s license, I chauffeur him to and from specialists appointments. Rather than spend all my time and energy caring for the needs of others, I must care for myself. My personal boundaries are poor. Groups overwhelm me. I take care of others, not myself. Find myself overstimulated and become mildly hypomanic. Perform, rather than sit, listen and accept help from others. Always a been performer, love being onstage, enjoy public speaking. Now’s not the time to be the center of attention, to be right, to be smart, to solve problems, to be the hero. My brain isn’t functioning at its best. Grief-related brain fog. Can’t concentrate. Can’t remember. Simply overwhelmed emotionally. Often, I can’t even come up with a simple word to answer a question my husband asks. Cannot make a yes or no decision. Today I deleted emails of great content I would usually share as a mental health advocate. I leave that to others for now. Now, I grieve. Now I cocoon. Now I draw mandalas and patterns using iOrnament. Now I do jigsaw puzzles on my iPad. Now I watch TV. Now, I cry softly, sometimes gently sob, for the father I love and miss. Michael Pipich Guest Post: Are You Just Depressed or Is It the Onset of Bipolar Disorder? Are You Just Depressed or Is It the Onset of Bipolar Disorder? About two-thirds of people with bipolar disorder are misdiagnosed with other mental health problems before bipolar is discovered. Among those individuals, a significant majority are given a diagnosis of major depression. Most people with a major depressive disorder that is unrelated to bipolar disorder (typically known as non-bipolar depression or unipolar depression) can be treated safely and effectively with a combination of antidepressant medications and psychotherapy. But when people with undetected bipolar are treated this way, a host of mental health problems can occur, making the underlying bipolar condition much worse. It’s understandable that someone may not immediately be given the bipolar diagnosis if their first mood swing begins in a depression mood zone. This seems particularly true of people who have bipolar II disorder. And sometimes, there may be more than one depressive episode before a manic or hypomanic episode happens in a person with bipolar. If you’re wondering about whether you may have depression or the beginning of bipolar, there are some keys to keep in mind when seeking treatment. First of all, when assessing if your depression is a part of bipolar, know that bipolar disorder has distinct genetic foundations. In other words, it runs in families and is passed through family genes. So if you suspect that any family members may have had bipolar disorder, it’s important to inform your doctor or therapist when entering treatment. If the information is available, a thorough family mental health history can really support a proper bipolar diagnosis. Unfortunately, such information isn’t always asked for, so be prepared to volunteer all that you know during an evaluation or treatment session. Next, your personal history of mood swings should be explored. If you’ve had severe ups and downs during childhood or adolescence, these may be more than the common tumult of growing up. They may instead be early expressions of bipolar disorder. It’s especially important to review periods of hyperactivity, bouts of unexplained rage, self-harm, or suicidal thoughts or actions that could have occurred at any time in life. There certainly may be other explanations for these, such as early life trauma or severe loss and grief experienced during these formative years. But if explosive behaviors or deep depression occurred at different times, especially with little or no provocation, it can point to underlying bipolar disorder. 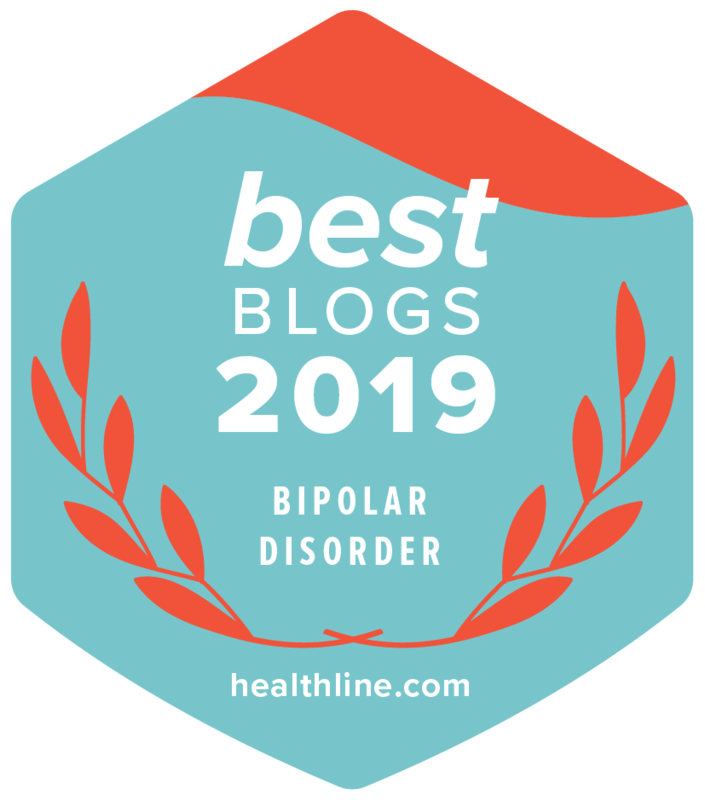 Usually, most people with bipolar who seek treatment on their own are currently or recently depressed, or are experiencing consequences of untreated bipolar disorder. Any history of mania or hypomania is less obvious, however. And often, bipolar patients will either not understand manic symptoms or will avoid discussion about them. If you have had at least one occurrence in your life of intense euphoria, excitability, unexplained energy and creativity, avoidance of sleep, or impulsive behaviors, inform your treatment professional. But also bear in mind that mania and hypomania may be marked by intense periods of irritability and agitation, know as dysphoria. This is in contrast to the euphoria that most people think about with bipolar mania. Often a dysphoric type of manic or hypomanic episode can be mistaken for the kind of agitation seen in major depression. This can mislead the course of treatment to focus only on depression, while missing the full bipolar condition. This brings us to the most important part of knowing whether you have depression or bipolar onset. According to the Diagnostic and Statistical Manual of Mental Disorders (5th edition), if a patient is given an antidepressant medication, and it produces manic symptoms, the person is then diagnosed with bipolar disorder. While this is a very clear indication of bipolar, how the mania surfaces in the individual may take different forms. For example, a person in a depression mood zone can improve early in the treatment, and as a result, may not show manic symptoms right away. Any slight improvement may provide a hopeful sign that treatment is working, but when the person starts to get worse because of emerging mania—especially if it’s dysphoric—the unwitting response may be to apply more antidepressant medication. Now we have some real problems. So, if at some point in your treatment, an antidepressant medication makes you feel more agitated, more irritable, more aggressive, or you start to experience hyperactivity or greater impulsivity, tell your treatment professional right away. This could be the start of a manic episode that is revealing a previously undiagnosed bipolar disorder. Even more importantly, any increase in suicidal thoughts or possible psychotic symptoms, such as hallucinations, should be reported immediately, as these can be life-threatening. Any antidepressants will either likely be eliminated at this point, or possibly paired with a mood stabilizing or antipsychotic drug to keep a lid on mania. With bipolar finally recognized, bipolar medications can be introduced to decrease manic-type symptoms, while keeping depression in check. Alongside medications, it’s important to have therapy focus on the unique challenges facing people with bipolar disorder. Major depression is frequently considered an acute condition because it often can resolve in time, so medications may be discontinued at some point, along with a shorter overall approach to therapy. But bipolar disorder is a lifelong condition. Even though its symptoms can come and go in episodes, the genetic nature of the condition means the bipolar patient will need continuing care through the lifespan. Hirschfeld R. M., Lewis, L., & Vornik, L. A. (2003). Perceptions and impact of bipolar disorder: How far have we really come? Results of the National Depressive and Manic-Depressive Association 200 survey of individuals with bipolar disorder. Journal of Clinical Psychiatry, 64(2), 161–174. American Psychiatric Association. (2013). Diagnostic and statistical manual of mental disorders (5th ed.). Washington, DC: Author, 128-130. Michael G. Pipich, MS, LMFT is a psychotherapist and author of Owning Bipolar: How Patients and Families Can Take Control of Bipolar Disorder, (Citadel Press, Sept 2018). He practices in Denver, Colorado, and can be reached at MichaelPipich.com. Great news. Monday I am moving my parents into shared rooms – and most importantly, a shared bed – at a board and care close to my home. To that end, I’ve been busy with electronic paperwork and facilitating the transfer of my mother from skilled nursing stroke rehab and my father from assisted living memory care. Delegated the moving of queen size bed and my parents’ clothing to my husband. Sunday we move the bed and clothes, and I sign the papers and cut the check. This change, which I expect to be wonderful – which I hope to be wonderful for both my parents and my own family – still is anxiety provoking. So much is riding on it. I pray my parents are happy with the set-up. Anyway, I’ve been so stressed out that I’ve colored a crap load of images using Colorfy in the last few days. Take a look at the slide show of images and see how busy I’ve been. Today I finally took a clonazepam hoping it would help. Nada. No difference. I feel like I’m about ready to jump out of my skin. Instead, I write and share with you how moving someone else affects me. You can imagine how hard it might be to move myself, son and husband. Whenever I have moved in the last ten years, and we’ve moved numerous times, I’ve had a set-back, experiencing deep and sometimes debilitating depression. We moved our son five times during elementary school. He, too, is sensitive to change. My childhood growing up, we constantly moved. Because of it, I tend to hold people at arms length, never getting too attached for I may be leaving soon. 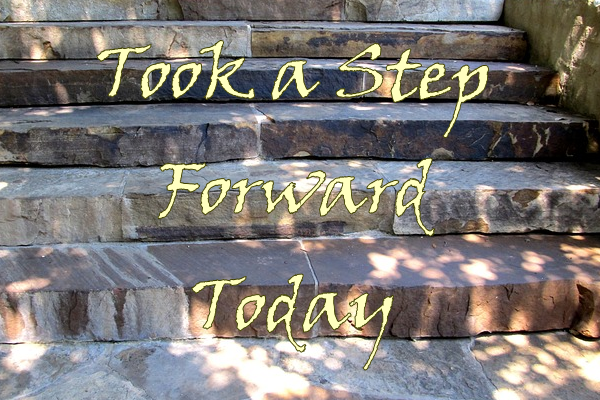 Today I took a step forward. I went to my psychiatrist. He adjusted my medications, putting me back on a low dose of escitalopram. Monday, we see a psychologist with our son to get some coaching on negotiating our battles and setting some reasonable boundaries. Called NAMI Orange County’s Warm Line and briefly talked to a mentor. Looked into going to Orange County’s Wellness Center, which offers all kinds of support and activities, but I’m just not up to making the twenty-mile drive to the City of Orange. Maybe tomorrow I will actually drive up to The Wellness Center – then again, maybe not. I actually think that I may be sick, physically ill, which is exacerbating my depressive symptoms. 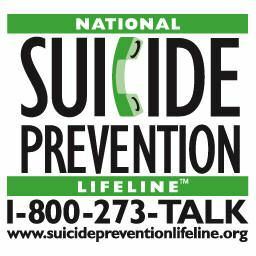 Yesterday I both called and emailed Saddleback Church, which offers support groups and is very close to my home. The main problem I have with Saddleback is that I’m very liberal – theologically liberal, socially liberal, and politically liberal. Saddleback is not. Taking it one step at a time.